The Elder Scrolls, an action role-playing fantasy video game series, was developed by Bethesda Game Studios and published by Bethesda Softworks. 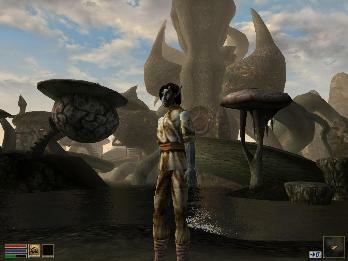 The series includes the games Morrowind, Oblivion, and Skyrim, each of which has multiple expansions. In 2014 Elder Scrolls Online was released, which continues the series in a massively multiplayer online role-playing game (MMORPG). The Elder Scrolls primarily takes place on the fictional continent of Tamriel, in the world of Nirn, with a melting pot of Medieval, Roman, Nordic, ancient Japanese history informing the settings’ cultural environment. The games are dramatic in tone and epic in scope with recurring grand struggles between essentially heroic human, elf, dwarf, and bestial races against evil, supernatural forces. The game is known for a highly detailed lore and even readable in-game books further explaining the universe’s complex history.